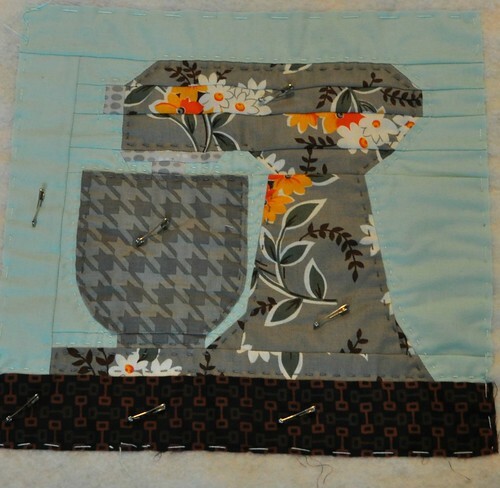 I decided to go with hand quilting, and I think I'm going to do a bit more quilting in the mixing bowl, and I'll probably finish off with a gray binding. I hope the cooking teacher will like it! 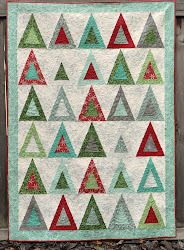 A few weeks ago, I signed up to participate in the mini quilt swap held over at Schnitzel & Boo. Everyone participating filled out a questionnaire about things we like in our mini quilts :) and then a few days later I got my assigned partner. It's a secret swap in that the makers know who they are making for, but nobody knows who is making the quilt they will receive. It's fun because there are two assigned hashtags (#makeaquiltmakeafriend and #schnitzelandboominiquiltswap) and lots of gorgeous pictures are being posted at instagram (and in the flickr group) while people are designing, deciding, and making their projects and extra goodies. The adorable fox pattern is from Sonja at Artisania. It was a little tricky with all the angles, and I had to unpick a few times, but it worked out in the end. 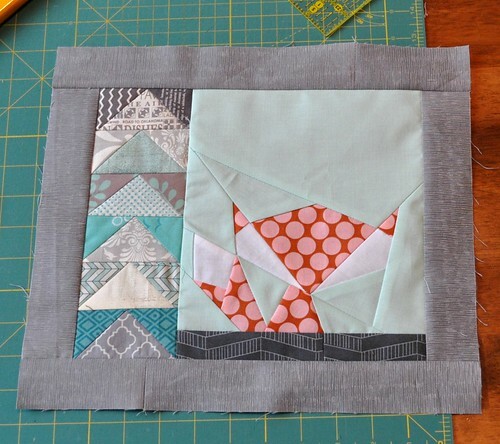 I have had flying geese on my mind for a while, so I decided to add a row of them on one side of the fox block. And then bordered it with a greenish aqua from a solids layer cake I have in my stash. 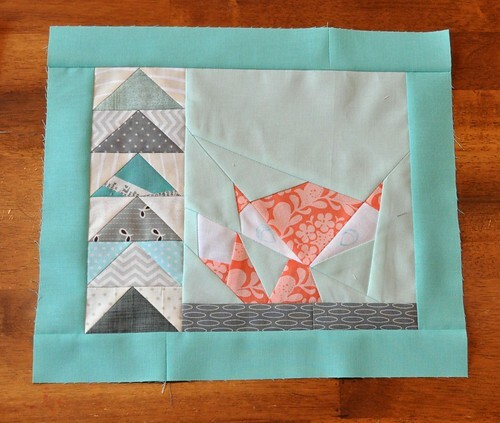 The geese blocks are a little darker, and I gave this one a gray border. Next up is embroidering eyes while I watch a show, and then layering and quilting. I don't know how I'll quilt them yet.